Previously, we wrote about Tillman Infrastructure, a tower company that has expanded significantly to build towers near existing towers to encourage wireless carriers to move from the existing tower to the new tower, all in an effort to reduce lease rates. For over a year now, tower companies have publicly discounted the impact of these “build-to-relo” tower companies as non-threatening. However, in the clearest confirmation yet that the public tower companies are worried about the build-to-relo tower companies, we are starting to see concentrated efforts by American Tower to combat these new tower company threats. 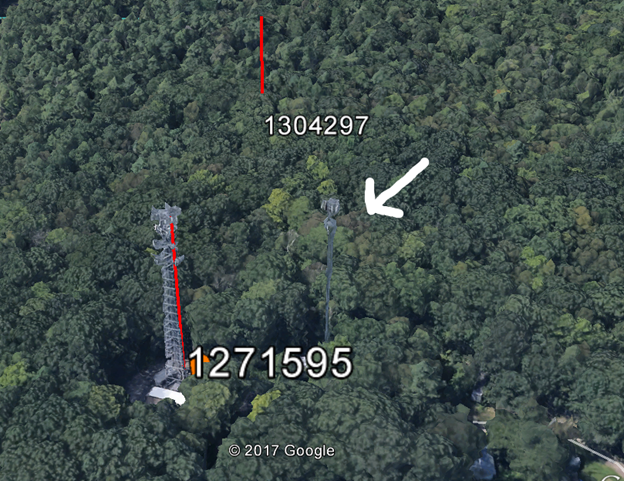 Recently, we noticed that American Tower was calling its landowners to convince them to call American Tower if they noticed a new tower being proposed or constructed near the tower owned by American Tower on their property. We questioned how effective this would be, as we suspect most of the relocation towers are being built in areas where there is no zoning, so the landowners wouldn’t know about it until a new tower was actually being built, at which point it would be too late. We were recently shown a copy of a letter that American Tower sent its vendors in the last week that indicates American Tower believes the practice of building towers in close proximity to existing towers is “unnecessary, short-sighted, and reckless.” American Tower further suggests that this practice “harms existing landlords, needlessly clutters otherwise peaceful neighborhoods (ask the neighbors of any existing American Tower about needless clutter), wastes precious resources, and does nothing to improve the coverage, capacity, or quality of today’s stressed wireless networks.” In a further appeal to governmental entities, American Tower further states that “it could even delay the badly needed deployment of next-generation wireless technologies.” American Tower fails to state the real reason they object to these efforts – that it removes AT&T or Verizon or T-Mobile, or more than one, from an existing American Tower site, thereby significantly reducing revenue and reducing same tower operating margin even more. American Tower then indicates in the letter that its vendors must sign an amendment to their Master Contractor Agreement with American Tower that states the vendor will not “participate in the development of any new towers that are within a half mile of an existing ATC site.” Failure to sign the amendment by June 15, 2018 will result “in an immediate change in your vendor approval status, up to and including removal of the ability to be hired for work directly by ATC and the ability to access any ATC site on behalf of others.” (Bold emphasis added by us) In short, if you don’t sign, you can’t work for us and you can’t visit our sites while doing work for anyone else. We have to question whether there wasn’t a less heavy-handed method of addressing the problem that didn’t alienate contractors and force them to consider whether they really care to work for American Tower at all. First, the universal half mile restriction is unreasonable. It is completely possible that a wireless carrier would want to build a tower within a ½ mile of an American Tower site for reasons that have nothing to do with relocation. Furthermore, the language of the amendment includes all American Tower sites including managed sites, which means a vendor would not be able to participate in the development of any tower near sites that American Tower manages, which includes thousands of vacant rooftops that have no wireless carriers using them. Secondly, the decision by American Tower to bar vendors that don’t sign from accessing American Tower sites on behalf of other parties seems vindictive and ultimately divisive. While American Tower suggests in the letter that they try to act in an “ethical and professional manner in each of the 16 countries where we operate,” we question whether this restriction is more vindictive than professional. Are they also going to restrict companies that aren’t their vendors from accessing American Tower sites if they find they worked on competing towers? Would this extend to all vendors? While we understand that reasonable people can disagree on the need for the amendment to the Master Contractor Agreement given the circumstances, we have to believe there was a better way to handle this matter. The short time frame for response given and the threatening tone of the letter suggests a disdain for all contractors who do work for American Tower, regardless of their intentions or involvement in actual relocation. This letter seems focused on penalizing all contractors and exacting revenge on the carriers who are considering relocation. This letter also completely fails to acknowledge American Tower’s own role in this matter in their unwillingness to negotiate lease amendments with AT&T and Verizon that would encourage them to stay on the towers as opposed to resorting to moving their equipment to adjacent towers. We agree that tower companies need to protect their assets and that building new towers near existing towers doesn’t make a lot of sense, but this particular approach seems rash and not fully baked. It alienates contractors and ultimately won’t have that much of an impact on the build-to-relo tower companies. Fortunately, there is no shortage of work these days for contractors, so we wouldn’t be surprised if some of them just choose not to sign this agreement. One has to wonder what will happen after the first time American Tower rejects contractors that are hired by a carrier to perform modification work on that carrier’s site at an ATC tower.